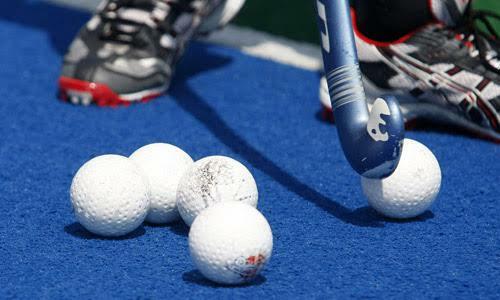 Part of my role with High Performance Sport New Zealand is as the lead nutrition provider for the New Zealand Men’s field hockey team, a game with extreme repeated high intensity running demands. This can be a challenging program to work with as the program is not centralized, which means our players aren’t located in one central location. We have players who play in Europe and Australia, and others who live in different parts of New Zealand. A challenge for players not based here in Auckland has always been tracking progress, creating accountability and improving nutritional knowledge without the face to face contact. Since becoming familiar with the MealLogger platform earlier in the year, using the software has helped tremendously with my contact with athletes living abroad. This case study is an example of how using MealLogger led to greatly improved communication, education and ultimately the ideal outcome the athlete was looking for in his sports nutrition strategies. The athlete was based in Sydney and was only recently selected to the national team. He only returned to New Zealand for national team camps that were held every 6 weeks. He was in great physical condition with regard to body composition and muscle mass but wanted to reduce 2 kilograms of body weight to aid him in agility and conditioning for the demands of international hockey, which he was only just becoming acclimatised to. He reported he ate most of his meals out, which for most sports nutritionists raises some level of concern. He emphasised that these were healthy options but he was finding he was struggling to lose the weight he desired. I decided to use MealLogger platform to give me a greater insight in the quality and portion size of his food selection. I set the player up on MealLogger with ease, which I find is a great aspect of the program. The athlete’s engage with the platform easily with limited instructions and the communication aspect of the program can help with any initial teething problems of getting athletes on board with what you wish them to record. As the athlete started posting his meals it became clear he was indeed eating very well. As you can see from the above images his food quality was great, plenty of fresh produce, an abundance of vegetables with good protein sources across meals. However it was apparent he was snacking very irregularly and had no pattern in his intake with regard to his training days, this meant he was simply eating options without any thought into his energy demands for that day. He also reported often eating excessively in the evening after dinner. I focused on this athlete choosing more carbohydrate rich options such as the sandwiches on heavier, higher intensity training days and to use lighter salad options for lighter training days or as a dinner option when lighter training was completed earlier in the day. He also reported consuming energy dense / Mexican take-out style options 2-3 x per week, again with no particular pattern. We worked on reducing this to once a week and to use the Mexican food as a meal on the days where an intense game was played after his initial recovery snack was eaten. Another key area we focused on was getting this athlete snacking more frequently and to include an appropriate protein source with his snacks across the day, 2-3x per day. This would aid in his overall recovery, adaptation and also to aid in curbing his appetite to avoid over eating in the evening and craving high calorie products during that time. These snack options provided more protein rich options such as dairy: smoothie options with added fruits, lean meats: canned fish with crackers, dried meats, fruit and Greek yoghurt with nuts and appropriate home baking. Again it was important for the athlete to snack in accord to his training days and include higher energy snacks on these days, here he added more fruit options to these snacks. Although this approach is not your typical exact calorie / assessment approach, I had great success with this athlete engaging in nutrition coaching for several weeks. From having a more structured approach to his eating he was able to control calorie intakes on appropriate days. The improvement in the quality and timing of his snacking and his planning around his day to day choices helped him to feel more satisfied, train with more energy and reduced his intake of energy towards the end of the day. He became much more aware of his requirements on heavy training days, where his carbohydrate requirement was higher. The athlete achieved his goal in the coming months of playing at a reduced body weight of approximately 2kgs and has progressed well in his physical testing and game performance. On his return to New Zealand with appropriate testing we were able to determine that his weight loss was body fat reduction through skinfold testing. During this time his training also became more specific to hockey which played a key role in improvements in his conditioning and body composition. I believe his success was the combination of the above recommendations, training specifically and also he became much more aware of his eating habits by engaging on the MealLogger platform and having real time feedback. What I learnt from this experience was that although it may appear an athlete maybe eating well with certain choices, there can always be underlying issues. The MealLogger platform helped to identify those as it became clear there was limited snacking occurring by the lack of postings and also the choices across the week did not match up to his training demands. When dealing with cases like this in athletes, you are often only looking for a small reduction and a simple strategy. Having such clear feedback by the use of photos and time scales through the Journal function easily helps to identify such issues quickly. → MealLogger 4.0 is here!